I don't know what to peg as surprising first --- the fact that the ladies of KING are (finally!) releasing their debut album next year, or the fact that they have a brand new song that takes a sharp detour away from their dreamy soul sound? Well, let me start by taking the advice of every journalism professor I've ever had by beginning my 'article' with the most important thing first: KING are closing the five-year gap since their stellar 2011 EP, The Story with the release of their debut album, We Are KING (out February 5th). 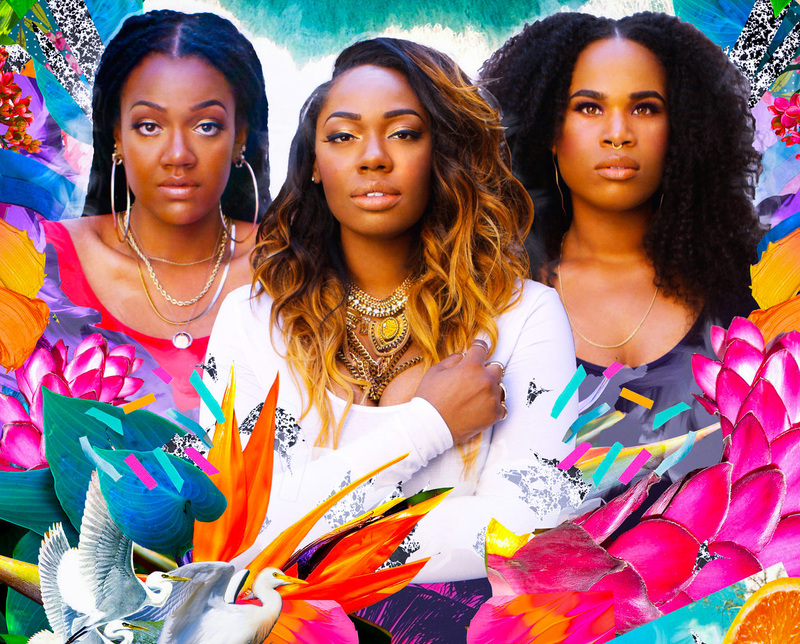 Making the announcement via album trailer, the Los Angeles trio of Anita Bias and twin sisters, Paris and Amber Strother look regal among the gorgeous and vibrant display of flora and fauna, but what's even better is what's going on under the album's hood as We Are KING looks to be a 12-track delight. Some familiar numbers are present in the tracklist, including past singles, "In The Meantime" and "Mister Chameleon", and extended mixes of "Supernatural", "The Story", and "Hey", but seven new songs are in the mix as well, including "The Greatest" which appears to be the album's lead single. After being caught in the rapturous delicacy of "Supernatural" and "In The Meantime", I thought I knew all the nooks and crannies of KING's sound, but they throw a curve ball and fool me once with "The Greatest". The track is not as plush or gives you the ethereal feeling of coasting on a cumulus as the trio's other gems are, rather "The Greatest" aesthetic has the 1980s on the brain and it bops on a funky synthesized groove that is prime for dancing. Still the harmonies are bliss, and the lyrics soulfully moving as the ladies pay homage to one of sports' 'greatest', Muhammad Ali, imitating similar gallantry as they wax lines like: A flashing faster than the speed of light / I'm taking home the gold / Riddle and rhyme / The bravest famous maven in my prime / Victory is mine. As I have yet to meet a KING song that I didn't like, of course I love every angle of this cut (if it's 1980s in theme you know I'm there...) and am looking forward to snagging it once I pre-order We Are KING via Bandcamp or iTunes or Amazon or wherever the heck I choose to buy my music from. Oh, and as a bonus, KING have also upped the extended cut of "Hey" just because they can, and because they're awesome like that.